Mother Nature has awoken. Beneath her gaze, lovers embrace and birds take flight. That's the imagery of the 80-foot-long mural painted by the Miami-based artist Luis Valle." 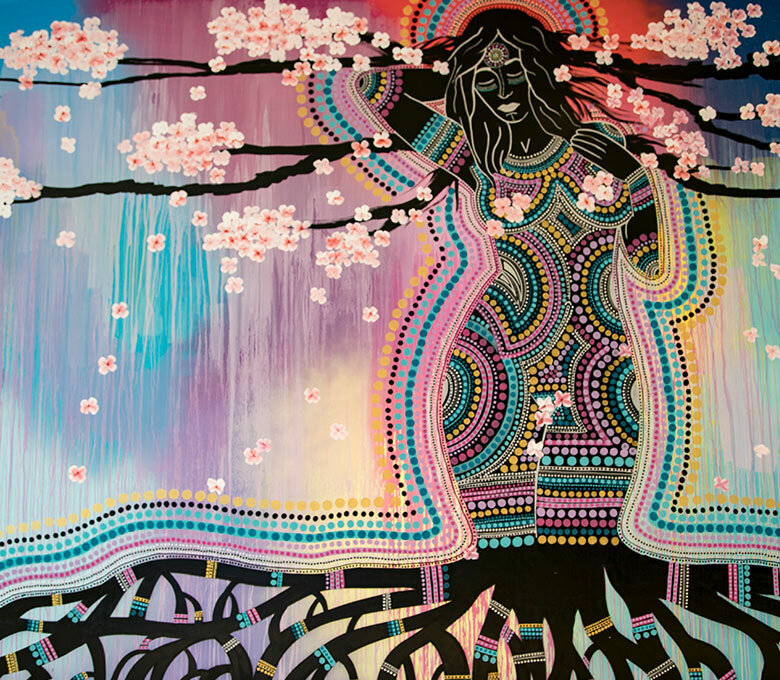 Living here has definitely impacted my art," he says of his vibrant, almost psychedelic piece, titled Te Ama la Pachamama. "I think growing up in a city with such vibrant colors has influenced my color palette as well. My work also tends to be a blend of styles and cultures, which is what I think Miami represents."